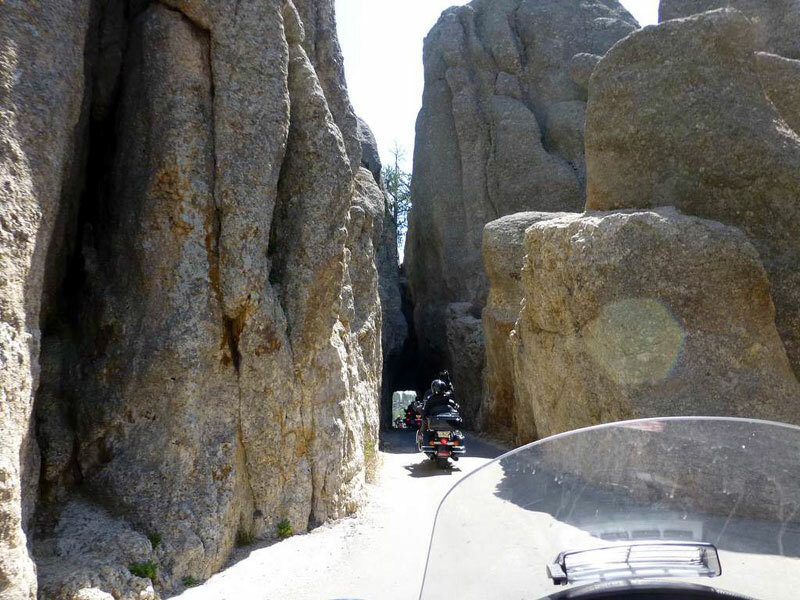 A tunnel through the rocks near the Needle’s Eye formation is on the Needles Highway in Custer State Park. 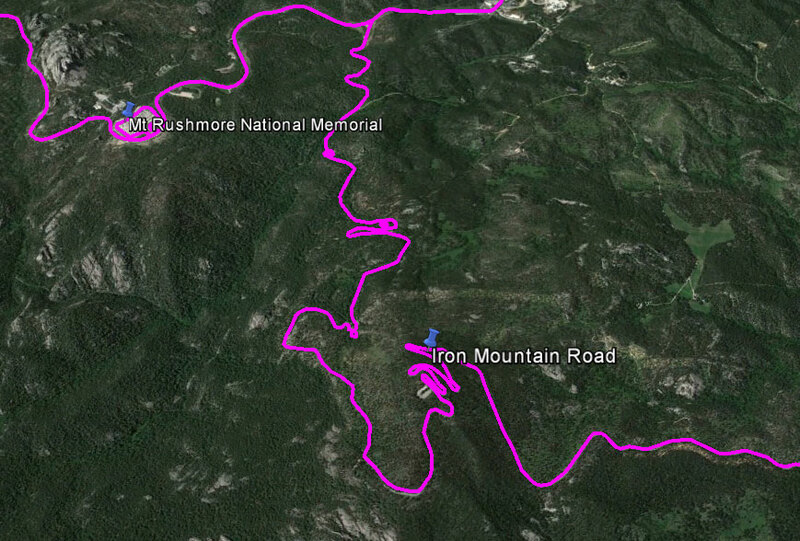 The Iron Mountain Road has several pigtail bridges where the road circles around and crosses over itself as well as perfectly placed one-lane tunnels that frame views of Mount Rushmore. 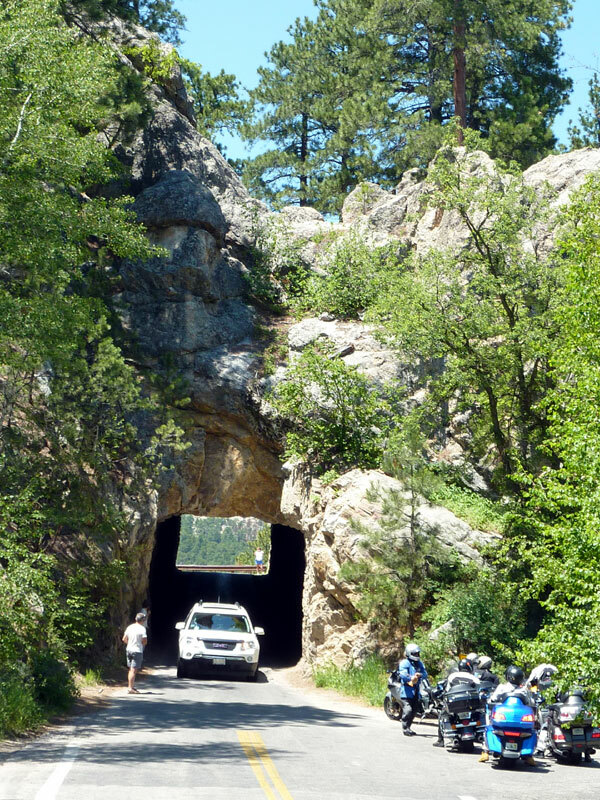 Here we are waiting our turn to go through one of the tunnels on Iron Mountain Road. 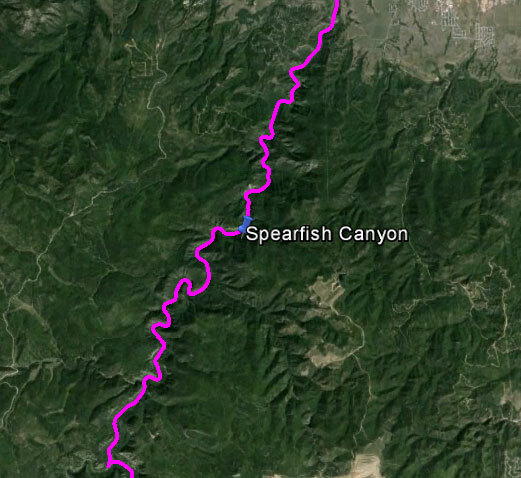 Spearfish Canyon is in the northern part of the Black Hills and is a wonderful curvy motorcycle ride.